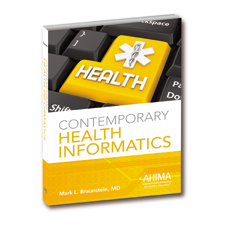 Health informatics, the application of information technology to healthcare delivery, is undergoing dramatic transformation. More open, cloud-based systems built using approachable Internet standards and conventions are facilitating product innovation, provider adoption, and data sharing. Mobile devices and sensors are enabling more continuous care and increased participation by patients. New financial incentives are promoting models of technology-powered care that emphasize more holistic and coordinated approaches. Digital health records are increasingly being mined and analyzed to uncover new medical knowledge, promote evidence-based treatments, and determine the clinical and cost effectiveness of care. This text helps students of diverse backgrounds to study and master these contemporary trends and technologies by focusing on ambulatory care for chronic disease, arguably the major challenge facing US healthcare.